A large number of HKUST graduates find a placement in Asia. The HKUST International Career Treks are a great opportunity to discover opportunities outside of Hong Kong. The treks take place in the block week between Fall 1 and 2 term. This year, our two-day treks went first to Singapore and then to Shanghai. 30+ students joined each of the two treks. 19 companies were visited and their representatives met. The companies included Allianz, DBS, DHL, DuPont, Eli Lily, GlaxoSmithKline, GIC, Grab, Hyundai Robotics, Partners Group, Pernod Ricard and Tencent. 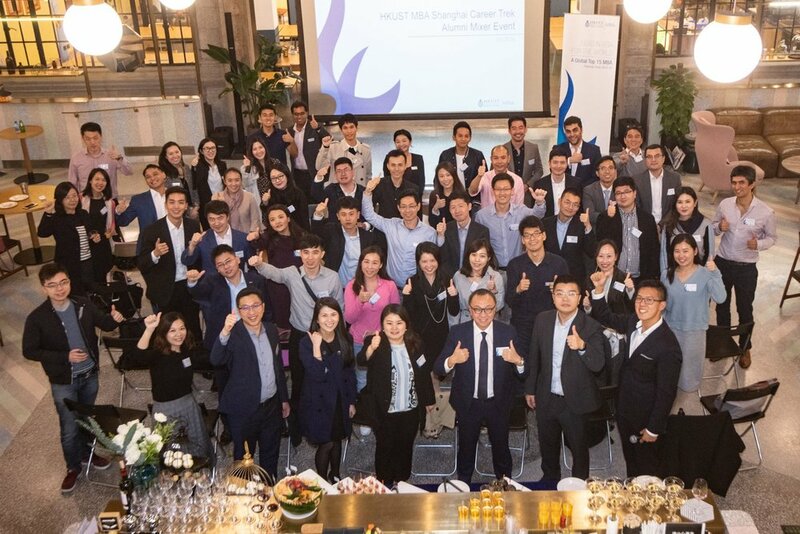 In Singapore, the HKUST Alumni chapter organized a panel discussion with senior directors from the recruiting industry about the recruiting process. In Shanghai, Alumnis met for a relaxed mixer. At night, local class mates took pride to present their cities in the best light. The Career Trek was a remarkable experience. For some it was for the insights into the tech industry. For some it was for the meetings with the big players in the financial industry. For some it was for the first time using Alipay. And for a few it was because they later actually landed an internship with one of the companies they visited. The Career Treks are to be continued!